I suffered a slip and fall on the ice. If you’re looking for a New York slip and fall lawyer, you’ll need an experienced hand to guide you through the process. The Law Office of Friedman, Levy, Goldfarb & Green has served New York City, including Manhattan, the Bronx, Queens, Brooklyn, Staten Island and Long Island with expert legal counsel for over 50 years. Our team of attorneys have won praise and recognition for impressive verdicts, such as $1.5 million for an 8-year-old who fell through a rooftop playground skylight and $652,000 for knee surgery resulting from a supermarket trip-and-fall incident. 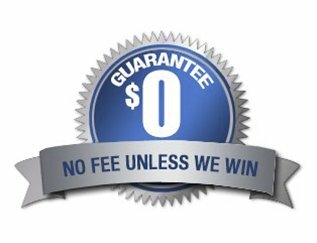 Our legal consultations are always free, and you owe us nothing unless we take your case and win on your behalf. Contact us any time 24/7 to explore your full range of legal options within THREE YEARS of a slip and fall accident. Although premises liability law seeks to protect parties who are injured as the result of the property owner’s negligence, it is often difficult to prove liability, especially if the owner has corrected the hazardous condition. 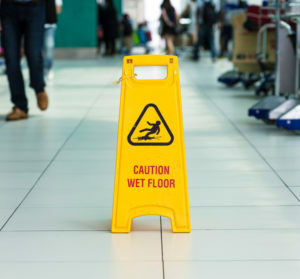 To ensure that the proper grounds for your claim are met, you should contact our knowledgeable slip and fall attorneys who have the resources and experience necessary to help you collect compensation for medical expenses, lost wages, pain and suffering, and even emotional trauma. In the legal field, we use the terms “slip and fall” or “trip and fall” to describe a personal injury occurring on someone else’s property. The broad category of cases is also known as “premises liability” law. Property owners inherit the responsibility to maintain their land and structures to an acceptable standard, making it safe for passage by customers or invited guests. Legally, this is referred to as a property owner’s “duty of care.” When this duty is not upheld and someone becomes injured on the property, the accident victim is legally entitled to sue for damages. Property owners are liable for ensuring all hallways, stairwells, parking lots, and service areas are well-lit, free from obstacles, and clearly marked. Routine monitoring should be done for spills, cracks, potholes, areas of disrepair, and debris. Known issues must be addressed in a reasonable timeframe and manner. These damages may include compensation for all past, present, and future medical expenses; lost wages and earning capacity; emotional pain and suffering; disability-related modifications; and, in the worst cases, funerary expenses. Hiring the services of slip and fall lawyers is the best way to ensure a successful settlement or verdict. In the worst cases, a property owner can be deemed “negligent” when they actually cause the dangerous condition. A property owner may leave an obstacle in the way, spill something and fail to mop it up, or haphazardly begin a construction project without appropriate safety warning signs. The injured victim must prove that the property owner should have recognized a dangerous condition on the property and either removed, repaired, or notified guests of the hazard – but did not. The argument is that a “reasonable” person would have remedied and prevented the dangerous situation. In New York State, a plaintiff has up to THREE YEARS from the date of the accident to file a lawsuit against a private owner. Seek medical attention after a slip and fall accident is most important. The full extent of your injuries may not be fully apparent to an untrained eye. Having official documentation from an attending physician always strengthens your case. Be sure to report the accident to the property owner, manager, or landlord. Getting a copy of a written report makes the incident more official. Take photos of the dangerous condition. Collect the names, contact information, and statements of eye witnesses who could corroborate your version of events if necessary. Our compassionate slip and fall injury lawyers in New York consider all of these factors and will represent you aggressively so you can take care of what is most important—recovering from your injury and regaining your health. If you were hurt on Long Island, or in Westchester, Brooklyn, the Bronx, or any of the 5 boroughs of New York City, call us today for a free and completely confidential case review. Contacting a slip and fall attorney with knowledge, experience, and a track record of success from Friedman, Levy, Goldfarb & Green will give you the best chance of securing compensation to help you get through the difficult days ahead. Our compassionate slip and fall injury lawyers consider all of these factors and will represent you aggressively so you can take care of what is most important—recovering from your injury and regaining your health. If you were hurt on Long Island, or in Brooklyn, the Bronx, or any of the 5 boroughs of New York City, call us today for a free and completely confidential case review.